First CreativeMornings gathering in Chicago. View more. In his CreativeMornings/New York talk, author Seth Godin emphasized the “convening power” that everyone possesses. 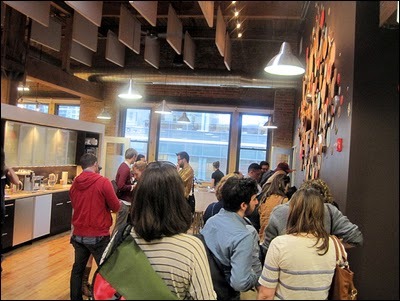 Here’s a running list of gatherings for creative professionals. They include conferences/summits/camps/meet-ups—various opportunities to help your planning of community events to experience. These gatherings generally share the theme of creativity applied to many areas, like business, design, storytelling, work, writing, the Web, and more. Nearly Impossible – “…an event for people who make and sell physical products. The two-day conference will focus on the stories of how companies have tackled their biggest hurdles and the tools we can all use to make even the biggest challenges seem more possible.” Featured by Swissmiss.